Lookie what I found today when I went to clean my helmet. I guess it's not so incredible that a bee would get scooped up into one of the air intakes (not that it has ever happened to me) but what is incredible is that the darn thing is still alive, about 22 hours after I rode home from work yesterday. I'm glad it didn't end up inside, crawling around my neck and ear, like the spider I had to stop and remove weekend before last. 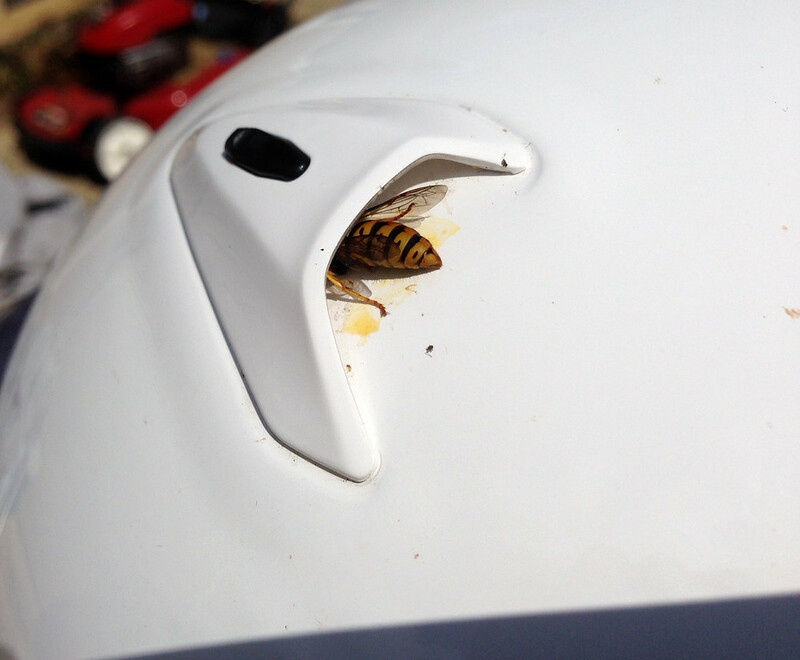 Have you hosted any unwelcome visitors in your helmet? Related Post: What's That in my Tailpipe?